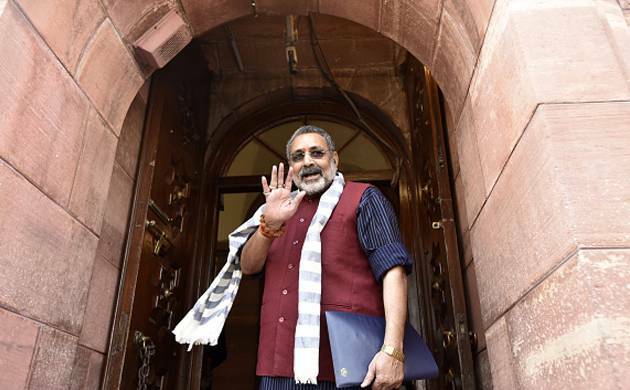 Union Minister Giriraj Singh has said that there is a need to review the definition of 'minority' in the country. "We need to have a relook on the definition of minority tag given to the Muslims having a population of over 20 crores in the country," he said on Wednesday during a programme at Kashi Hindu University. "The places where they (Muslims) are in large numbers as well as where they are less in number...at both places they are called 'minority'," he said. On being asked about the current political scenario in Uttar Pradesh, he said, "It's a fight between ambition and regime. Nobody is interested in healthy politics in the party and this is the reason why the party seems divided. Common people are fed up of family feuds and want a pro-people government". Reacting to abduction of two brothers, residents of the national capital, who were rescued from Patna on Wednesday in a joint operation between Delhi police and their Bihar counterparts, he said, "Bihar has become a den of criminals and is limping back to 'jungle raj'".